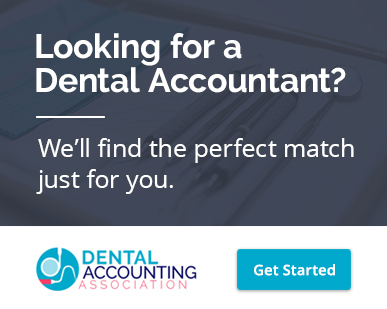 The members of Dental Accounting Association work with dentists across the United States. They work mainly with existing practices, but also offer the New Dentist Program, designed for helping new dentists get started. We focus on minimizing your taxes. Our fees are fixed and understood upfront. No hourly billing surprises. Our members provide a free initial consultation to dentists. Our members focus on all types of dentists. Often, our members are well versed in real estate accounting and QuickBooks accounting since these are integral to all dental practices. Our members also service future dental practice owners under our new dentists program. This program is designed for dentists who are independent contractors, dentists in residency programs, and dental school students.